The Southern Cross Club was founded in 1958 as a fishing club. That didn’t happen by accident. 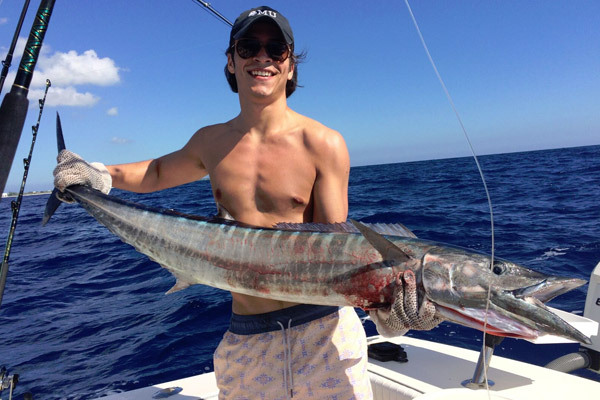 The fishing here is some of the best to be found in the Caribbean! Let’s start by agreeing that a great guide makes for great fish tales, often making great anglers in the process. 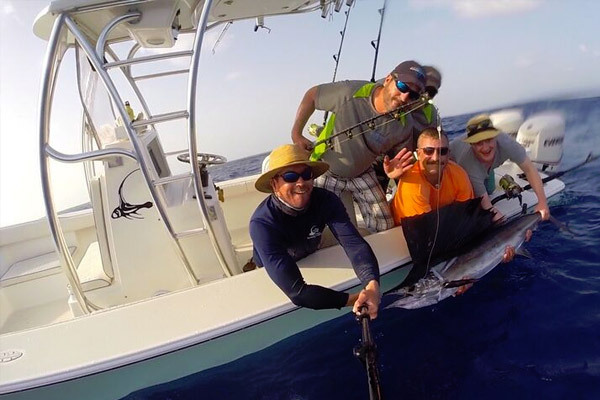 The guide who makes it his job to ensure the Club’s legacy for top-of-class sportfishing is long time Little Cayman resident and fishing enthusiast Chris Gough. Born and raised in the Bay Islands of Honduras on the small and tranquil “Oak Ridge Cay” off Roatan, Chris is an avid angler. 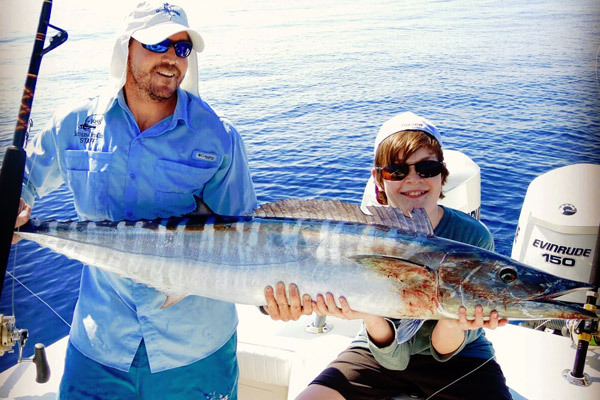 Chris became part of the Southern Cross Club fishing team in April 2013, which he describes as his “dream job”. 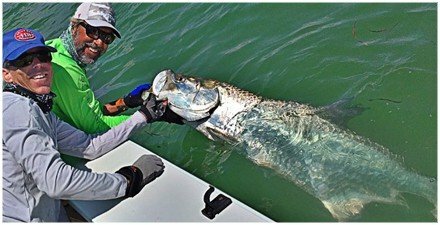 His top of the line fishing gear, thorough knowledge of the Little Cayman flats and the offshore structures and currents all give him the tools necessary to ensure the finest top-of-class fishing experience. And, hey, he’s fun to be with too! Just call him the “Fishin’ Dude”. “SLAM.” Among experienced anglers around the world, it’s the Holy Grail, representing the most difficult of fishing challenges. 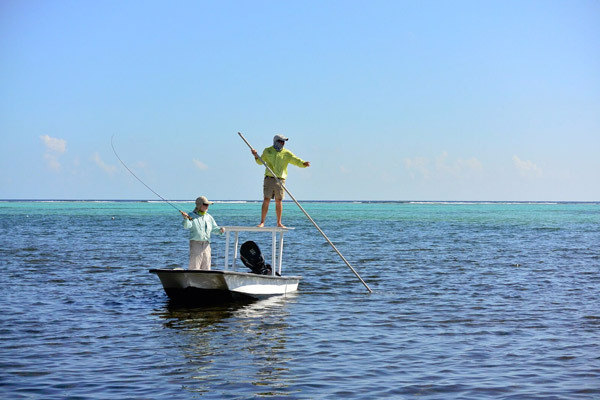 On Little Cayman a “Flats Slam” consists of a Bone Fish, Permit and Tarpon in a single day, and a long list of past Club guests have their certificate from the International Game Fish Association to prove it. The south shoreline of Little Cayman teems with bonefish and permit, feeding in the shallow South Sound offering a veritable smorgasbord of bait fish that live in the protected waters inside the reef line. 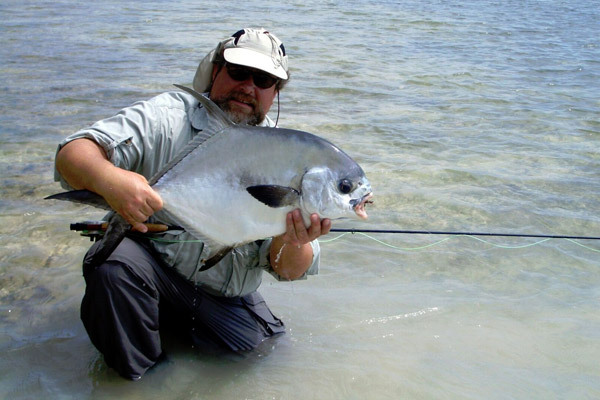 Bonefish and permit are commonly fished from the shore, wading along the flats. 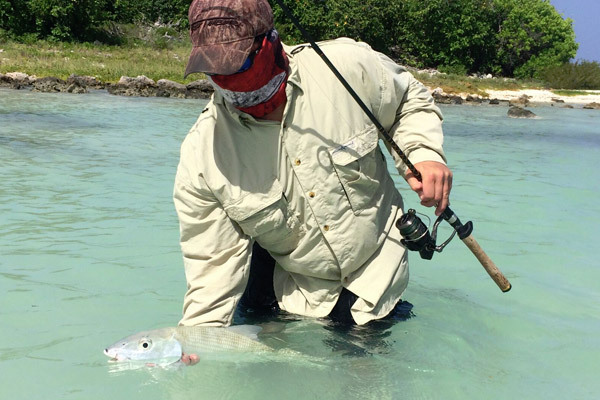 Bonefish average in the 3-6lb range (1.4 -2.7kg) and permit in the 15-35lb range (6.8 – 3.6kg)! 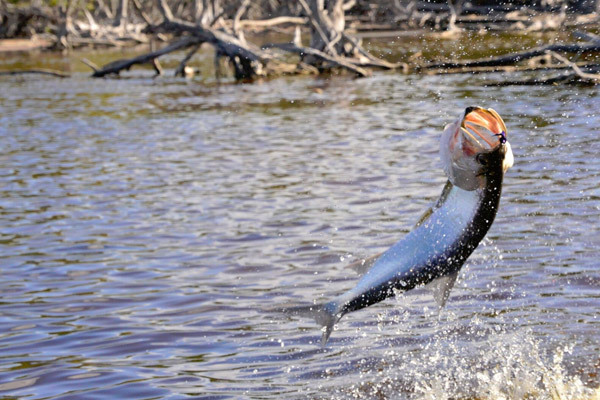 For a truly unique experience, tarpon are plentiful in Tarpon Lake, the landlocked, brackish natural pond that offers excellent fly-fishing. Specimens up to 9kg/20 lb. are frequently caught, especially in the early morning and late afternoon. This is a unique and exciting experience for everyone’s log of fishing tales. Package rates reflect price per charter either walking the flats or in a fishing skiff inside the reef. 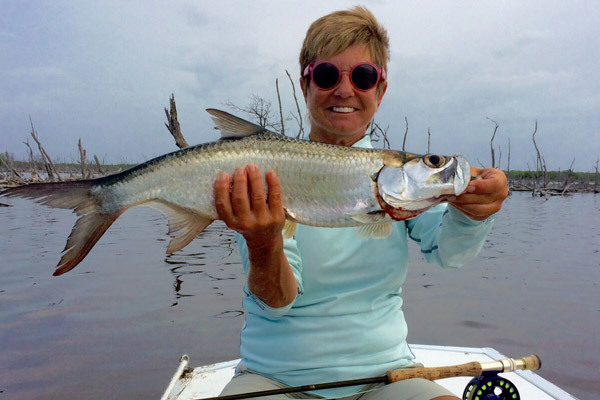 Sessions vary according to targeted species, but generally a Tarpon pond session is 2 – 3 hours and a wading or fishing skiff session is 3-4 hours. A charter is recommended to be one guest, but 2 guests are easily accommodated. Fishing prices do not include rod and tackle rental. Packages start the day following arrival. For example, a 4 night fishing package compliment will include three (3) guided flats fishing sessions. A 7 night fishing package compliment will include six (6) guided flats fishing sessions. 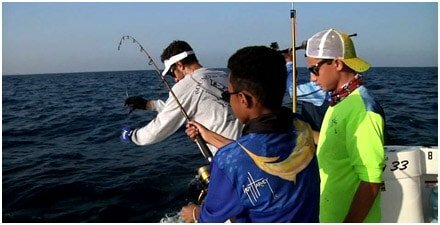 It is possible for Fishing Package credits to be used towards offshore fishing trips. If you wish to book offshore fishing sessions then arrangements can be made with your fishing guide once you have checked in. The third deepest trench in the world is the Cayman Trench. Now, guess where Little Cayman is! That’s right, this pinnacle of an underwater mountain called Little Cayman is right there. With water dropping to 3,000 ft just a mile offshore, you’ll spend your charter actually fishing, not running hours to and from the fishing grounds. Anglers should note that all billfishing is strictly “catch and release”. Other species can be kept subject to local catch regulations. US$450/half day charter, which includes fuel and all necessary tackle, bait and a selection of non-alcoholic beverages and snacks. Prior to departing on any fishing charter, you will have to complete the Club’s Boat Travel Waiver and it to the Club management. The form can be download here if you wish to complete it prior to travel. Feel free, prior to arrival, to return the completed form to the Club via email.